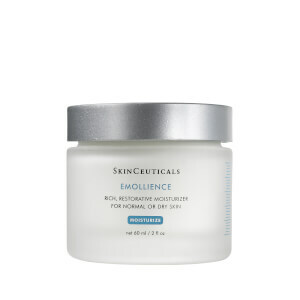 Ideal for normal or dry skin, this nighttime skin-refining moisturizer contains a 10% hydroxy acid blend to gently exfoliate the skin for a healthier appearance. Formulated with extracts of aloe, chamomile, evening primrose oil, and comfrey, Renew Overnight Dry helps to restore a radiant complexion and diminish the appearance of fine lines, wrinkles, and other signs of premature aging. In the evening following a SkinCeuticals cleanser and toner, gently massage a small amount into the face, neck and chest. Aqua / Water / Eau, Aloe Barbadensis Extract, Caprylic/Capric Triglyceride, Glycerin, Cetearyl Alcohol, Tocopheryl Acetate, Vaccinium Myrtillus Extract, Ceteareth-20, Rosa Canina / Rose Flower Oil, Saccharum Officinarum Extract / Sugar Cane Extract / Extrait De Canne A Sucre, Dimethicone, Polyquaternium-37, Propylene Glycol, Phenoxyethanol, Propylene Glycol Dicaprylate/Dicaprate, Citrus Aurantium Dulcis Extract / Orange Fruit Extract, Citrus Medica Limonum Peel Extract / Lemon Peel Extract, Pvp, Symphytum Officinale / Symphytum Officinale Extract, Xanthan Gum, Chamomilla Recutita (Matricaria) Flower Extract, Methylparaben, Acer Saccharinum Extract / Sugar Maple Extract, Ppg-1 Trideceth-6, Ethylparaben, Propylparaben, Isobutylparaben, Butylparaben. Absolutely a great Creme for night time use. This is not a “heavy” creme but an effective one. Moisture is what I need and moisture is what I get from this creme. I use it every night on my face and neck, plus if I'm going to wear makeup, I apply a thin layer of this first so the fine lines sort of smooth out. very, very ordinary. no results, but not terrible, either. After reading the reviews I started by using this cream very sparingly at night. As I increased the amount I noticed some of the 'beading' effect others wrote about. I am back to using very little and I love it. Very cost effective and my skin looks and feels great. I have been using this product for a few weeks and love the way it makes my skin feel in the morning. 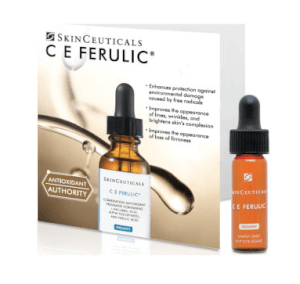 It is a great compliment to the other SkinCeutical products I use. This is my miracle cream for evening. It makes my skin look so rested and lovely each day. I have tried this and other products that exfoliate and my observation is that (1)- you may be using too much product and not applying this first and (2)-it is meant to exfoliate so that action is why it sometimes "rolls off". I am still in my first 2 weeks with this product. I'll let you know if I think differently later. While I love the way this product makes my skin look upon applying it (smooth, smooth, smooth! ), I find that it doesn't really fully absorb and "beads" off if I stroke my skin after application. That being said, I'm not sure if any of it is actually being absorbed. I'm going to continue using it (along with my Phyto +) for a few more weeks to see if I - or anyone else - notice any lasting effects. I hope that I'll be able to edit my review and up those smiley faces one day soon! Rich and creamy consistency that leaves my skin glowing. 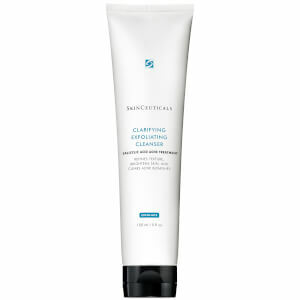 I like this a lot more than the morning moisturizer (Emoillence) by SkinCeuticals.